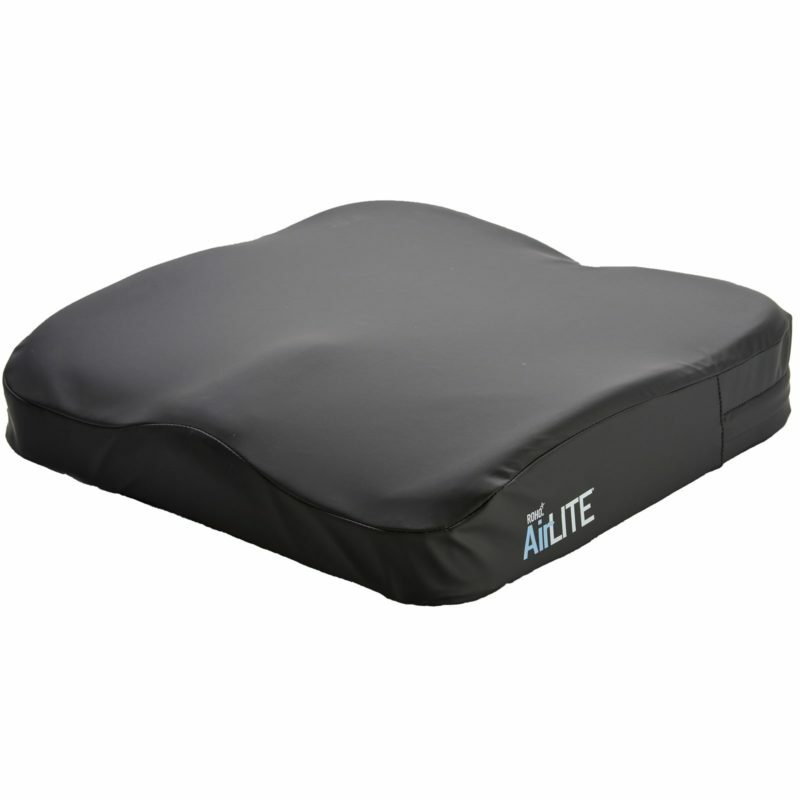 Using a lightweight pressure cushion can aid mobility, and the Roho AirLite Pressure Relief Cushion weighs just 1kg, while promising to aid stability and postural support. Despite being lightweight it doesn't lose any of its qualities, utilising Air Flotation technology in the form of a pre-set sealed component to ensure excellent, evenly distributed pressure relief. Popular in the NHS and care industries the AirLite Cushion promises to enhance blood flow and reduce edema, giving pressure sores the space and time to recover. The lightweight design and tough polyurethane contoured foam base ensures exceptional longevity, proving to last far longer than other pressure relief cushions. The average height from the Trochanter to the bottom of the Ischial Tuberosities was 7.5cm, and Roho have since discovered that this is the perfect envelopment depth if you could get a product to conform to it. By combining this envelopment with a mimicking of the effect of flotation in water, then you have the perfect pressure relief product. The AirLite does just that, using interconnected air cells to provide equal pressure across the entire cushion. The Roho AirLite Pressure Cushion is incredibly lightweight, making it perfect for carrying around and increasing mobility. Despite this, the contoured foam base promises excellent stability and support, ensuring that the individual has simple, light and sturdy pressure support. The Roho AirLite Pressure Relief Cushion is available in 11 different sizes that should suit most users. The measurements below are measured first across the width of the cushion from left to right, and then the depth of the cushion from front to back. 40cm x 40cm 16" x 16"
40cm x 45cm 16" x 18"
43cm x 40cm 17" x 16"
43cm x 45cm 17" x 18"
43cm x 51cm 17" x 20"
45cm x 40cm 18" x 16"
45cm x 45cm 18" x 18"
48cm x 43cm 19" x 17"
48cm x 48cm 19" x 19"
The depth of the Roho Cushion varies (due to its contoured design) from 5cm (2") at its shallowest to 9.5cm (3.75") at its deepest.